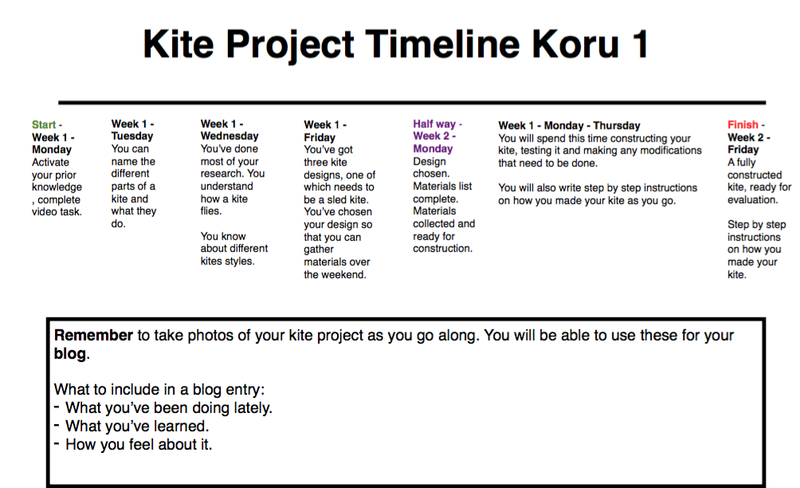 This week in Koru 1 two exciting projects began. We got to choose between a project on land yachts or kites. These projects will run over the next two weeks. Both of these relate to our inquiry theme 'How Stuff Works'. We will be using our scientific minds to explore the physical world, for example movement and forces. We will be researching, designing, constructing and testing our wind powered projects over the next two weeks. Today the kite group worked with Mrs Harris. We worked together to come up with a timeline for the project. This is going to help us keep on track and manage our time effectively. We used our reading strategies to activate our prior knowledge about kites. We viewed some video footage of kite flying to get us inspired and thinking about our own designs. We realised not all kites are a diamond shape and that we will need light materials for our kite construction next week. We also did some shared reading about the history of kites. While doing this we learned a simple note taking technique. This will help us when be begin our own research. Our next step is to look at more of the science behind kite flying. How do kites fly? We can also begin gathering materials at home. 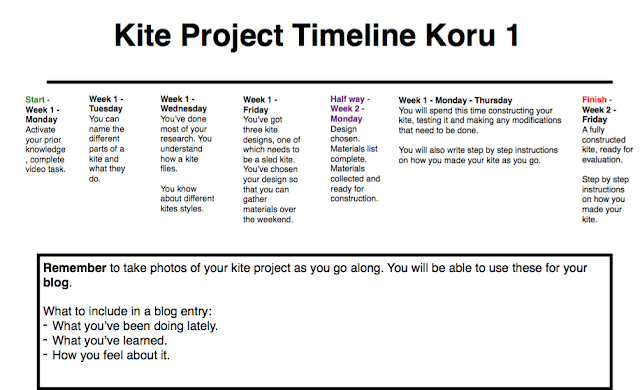 I'm really excited to make the kites! It's going to be a thrill ride. I can't wait to see them either Kaizen!